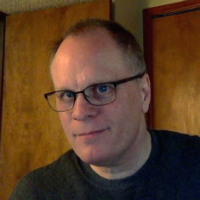 Jeff Langr has been developing software professionally for over 35 years. In addition to writing five books on software development--Agile in a Flash, Agile Java: Crafting Code With Test-Driven Development, Pragmatic Unit Testing in Java 8 With JUnit, Modern C++ Programming with Test-Driven Development, and Essential Java Style--Jeff wrote two chapter of Uncle Bob's bestselling book, Clean Code. He is also member of the Pragmatic Bookshelf's technical advisory board. Currently Jeff offers consulting, training, and development services through Langr Software Solutions. To keep his saw sharpened and relevant, Jeff cycles between consulting and pure, full-time development every once in a while. Most recently, Jeff was a full-time distributed developer for three years (starting in 2013) at Outpace Systems, where he helped deliver production analytic engine software built using Clojure, Ruby, and about a billion other technologies. Jeff resides in Colorado Springs in the United States. Mob-programming, team work and a lot more.